Elfie and Elfis are back! 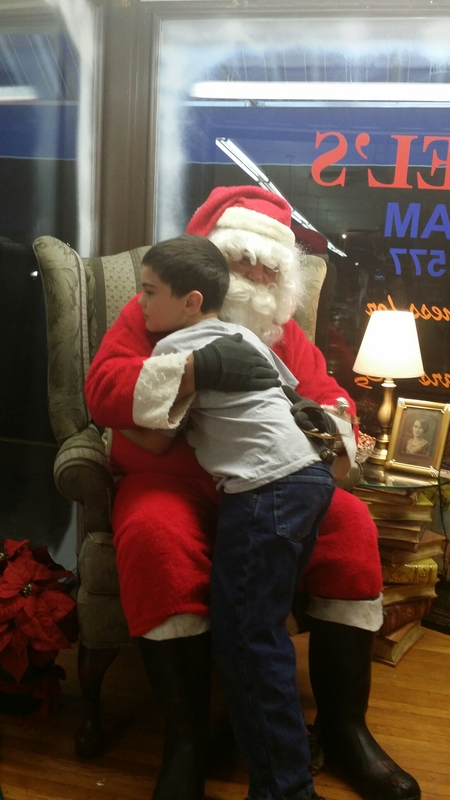 We kicked off the Christmas season by attending the city’s first annual tree lighting and visiting Santa at the local ice cream shoppe. On Sunday, the elves were found hanging around on the kitchen cabinet and living room ceiling fan. On Monday, Jake made them a little Lego bed with a Creeper pillow. They didn’t move the rest of the day on Monday and were still in their bed this morning. Thinking fast, I told Jake maybe they were afraid their Creeper pillow would blow up so they stayed put (there’s some quick thinking on my feet for ya!). 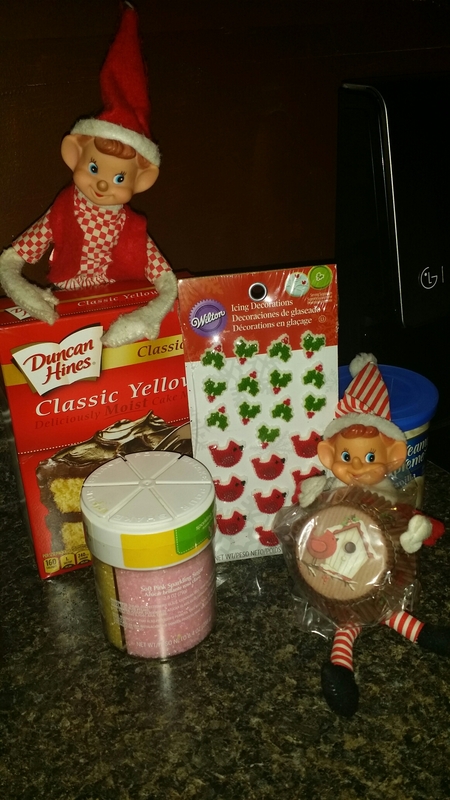 This afternoon, he arrived home from school to see the elves had been shopping and had cupcake wrappers and sugar decorations – they wanted to do some baking! 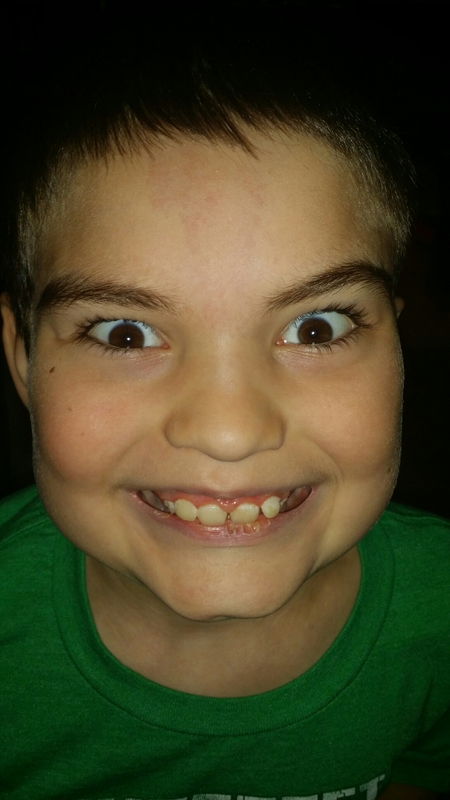 Crazy eyes going on here – he was so excited! Stay tuned to see what else those crazy elves get into this month while waiting on Santa to take them back to the North Pole on Christmas Eve! ← Pigs on the loose (again)!